We interrupt your regular Top Ten Tuesday to let you know we've been nominated for Best Meme! It takes one click HERE to vote if you feel so inclined! :) This honor really has more to do with YOU guys and how you've made this into a day I look forward to every week! Hi friends! Today’s topic is going to be a little difficult for me, so the large majority of these will probably be more like “series a lot of my friends like that I’ve sort of tried but not really and would like to try again more seriously.” Because there are a lot of series that I’ve tried but not necessarily been able to get into, like the ones below. 1. Lord of the Rings. I guess technically I started this a long time ago when a) I read The Hobbit (hated it, btw) and when I got the LOTR trilogy in one giant anthology for Christmas or a birthday one year (got as far as “eleventy first birthday” and put it down). But this year I am determined to read the series all the way through. Except The Hobbit, I guess, because I have no idea at all where my copy could be. 2. Game of Thrones. This is another one that I’ve technically started, but I only made it about 70 pages into the first book before giving up. But I’ll give it the old college try again someday--I just don’t know if it’ll be this year. 3. The Wheel of Time. Okay, this is a total lie because I’ve already started The Eye of the World, but even though I’m about a hundred pages in I still feel like I’m barely scratching the surface. I’m doing okay with Eye of the World so far but I’m not totally hooked yet. 4. The Ultimate Hitchhiker’s Guide to the Galaxy. Again, I’ve started this series--my fiance has the full anthology--but I only made it through two of the books. And I mean, out of five that’s not bad, but it’s been several years since my first attempt and I can only remember little bits and pieces, like the little fish you stick in your ear so you can understand any language and the fact that the main character’s name is Arthur Dent. Or something like that. 5. The Ender’s Game sequels. I have (or had, at one point) all of the older Ender novels: Ender’s Game, Speaker For The Dead, Xenocide, and Children of the Mind. Wikipedia tells me that there are two more now: Ender in Exile, a prequel to Speaker For The Dead, and Earth Unaware, a prequel to the entire series. I tried reading Speaker after reading Ender’s Game for the first time, but I think I was too young to really get it. I’d like to find those books again and give them another try. I’d also be interested to read Earth Unaware as well as the Shadow series, which follows Bean. 6. The Dark Tower series. Again, I’ve already read the first book of this one (here’s my review of The Gunslinger) and I really wasn’t crazy about it, which is saying something when it comes to Stephen King’s works. Fantasy is just really not my genre, even though I’m trying to get more into it. And I especially want to read this because I think SK kind of considers it his magnum opus. 7. Matched series. One of my friends read both the first and the second--liked the first, thought the second was okay, but wasn’t going to be waiting in line for the third. I’m not a huge fan of YA, but I do love me some dystopia, and Matched sounds pretty dystopian. 1. Beautiful Creatures series by Kami Garcia and Margaret Stohl. This is especially true since the movie came out. I won the first two in the series right before the third one came out, so they've been sitting on my shelf for a while. But the timing has never felt right. And right now I'm focusing on reading winners of the Youth Media Awards as I'm working on a challenge. Anyway, I want to get to these sometime. 2. The King Raven series (trilogy?) by Stephen Lawhead. This is a fantasy version of Robin Hood, written for an adult audience (I usually read teen stuff). I have the first one and it sounds really good, but again, timing. 3. The Jessica Darling series by Megan McCafferty. Everyone LOVES this series, so I feel like I should at least read the first one, which I luckily now have (thanks Secret Santa!). I will get to this soon. I hope. My Jessica Darling evangelism knows no bounds -- read it! SO GOOD! And I have to say I liked the first three World of Time books, and I read up through 6, but I never got around to finishing that series. Hope you enjoy them! The Jessica Darling books made my list too. And as far as Ender goes I highly highly recommend reading the Shadow books first. They are much more similar to Ender's Game compared to the rest of the Ender books. And I even think the shadow books are even BETTER than Ender's Game. BTW it's not just Bean it follows it's most of the other battle school kids! I love Hitchhiker's Guide. I read it back in high school because it was the boy I liked favourite series :P Yep... I was that pathetic. But I love the nonsensicalness of it all. I recently read the first Beautiful Creatures book. I won't be reading the second. It was just... too much effort for not enough reward. Matched is also on my list! I tried to read the A Song of Fire and Ice series (a Game of Thrones) but it was So much like the tv show and SO long that I gave up. Someday. I also haven't read The Lord of the Rings, and I don't think that I will (shhh, don't tell anyone). Wheel of Time and Game of Thrones are on my list too. Can't wait to start A Game of Thrones and Matched soon and finish reading BC so I can get to the rest of the Caster Chronicles! I could only think of eight, and most of them are trilogies. Beautiful Creatures is one of them, as I really enjoy reading the book(s) before their movie. LOTR is a must read series for fantasy lovers :) It was beautiful. Eye of the World starts out kind of slow--I think it took me rereading it again later after I'd caught up with the series to actually figure out everything that was going on and who everyone was. the series is well worth the read though! Read Lord of the Rings (including the Hobbit) twice. Going to be going through my third read of Wheel of Time once I get the last one. Right after I've read all the Discworld novels (nearly there). Tried Game of Thrones but really couldn't get into it. But I do have the Darktower Series in my TBR pile. Of course I vote for u guys! i let you my list of ten series! see u next thuesday and I hope u win! Bridget, we've got some overlap! I also started the Dark Tower series, read three books, and put it on my list this week as a reminder that I need to finish it. Give LOTR and GOT another chance -- love them! I put Ender's and Wheel of Time on my list as well. Great topic! This was a week where I could have gone with more than ten, but I did stop at 10 anyway. I somehow put the link to another of my posts in the linky - sorry about that! I just started The Wheel of Time and it's good! (I hear it only gets better). Annnnd MATCHED. IS FREAKING BRILLIANT. Crossed and Reached made me bawl my eyes out, they were so powerful and raw and gorgeous. I haven't had a problem at all to think of ten series. For me it was more difficult to decide which one should I include. I love series! So, if you're looking for some suggestions, read my TTT. If you don't start any other series, make sure you get to Game of Thrones! It is OUT OF THIS WORLD GOOD! Sad to say... I had a hard time narrowing it down to just 10! There are so many good books out there, that I haven't tackled yet. The only book I've read (and remember enough about) that's on that list is The Eye Of The World. You are so right in that you've barely scratched the surface (there are so many plots within plots and added characters that you'll feel that way for over half the series), but I fell in love with it. It's got more readality than a lot of epic fantasies, too, in my opinion. No wait, I lied! I read Game Of Thrones, too. Didn't leave a huge impression on me, though. I've tried to read the LOTR at least 4 times now, but I can't make it through.. I did read the Hobbit and I also hated it like you :p But one day, I will read the LOTR books, because I absolutely adore the movies. Games of Thrones is a series I can't wait to start. Sounds great. The dark towers & Beautiful creatures, another two I need to read. Its a pretty decent list... Game of Thrones is something that I have been meaning to get too but am a little bit scared of it at the same time. Oh wait I can't talk because I have Wheel of Time on my list. Oh you definitely need to start the Jessica Darling series - she is the perfect angsty teenager! I read LOTR long long time ago as a teen and I keep thinking that I should read it as an adult again. I didn't read 'The Ender’s Game' & Matched but they are on my tbr.. I haven't read Beautiful Creatures either. This is a perfect list for me; I feel like I'm so far behind in the book series department. I think the same thing frequently about the Jessica Darling series- but somehow I STILL haven't picked it up! As far as the Ender's Game series goes, I have to say that I enjoyed the Shadow books more than the original series. Bean is a very interesting character, and so much was hidden from Ender when he was going through Battle School. Bean finds out a lot of stuff and it's really neat to see things from a completely different point of view. And yay for the King Raven trilogy! I love those books! Stephen Lawhead also has a King Arthur series, the Pendragon Cycle, that is also quite good. I think my TBR list is going to be heaving after this meme lol! I had the same feelings about The Gunslinger. I wanted to like it, but for some reason I couldn't concentrate on the words in front of me and would drift off and not absorb any of the information I had read. It's a shame because I loved the introduction by King that was included in my version, as I could hear his voice in my head, and it seems to be a very popular series. Maybe it gets better and I shouldn't be a quitter? The first three on your list, LOTR, WoT and GoT are like my three favorite series of all time! They're so fabulous! You really gotta read them! I just read the first Beautiful Creatures book and liked it a lot. :D Great list! How do I delete my name ? I accidentally put myself down twice ! I wish I put the Dark Tower series on my list. I'm married to a King fanatic who has read the whole series plus the ancillary books. I want to read the series but it is such a huge commitment. So many books! I have the Matched series on my list as well. My friends have all really enjoyed it, but we read a lot of YA. You definitely don't have to read the Hobbit to enjoy Lord of the Rings. They're hefty books, but reading them is worth it. I think you need to be in the right mood though. I've only read 1 of the series on the list(The Lord of the Rings). It's pretty different from the Hobbit, so that might help. Same world, but I like Lord of the Rings MUCH much better than The Hobbit. I'll reiterate what others have said: you can read LOTR without reading The Hobbit. In fact, the tone of the books is rather different, and some people who love one don't care as much for the other (counting LOTR as one book here.) I love both, but in different ways, and of the two, LOTR is definitely my favorite. I wish you both luck finding time to read all these lovely series! Bridget the Shadow Series is SO GOOD. I just recommended Ender's Game to one of my students, and she's flying through the Shadow series right now. Great picks. I still need to read some of those as well. Jessica Darling made my list as well, although I've been thinking about reading Hitchhiker's Guide and The Wheel Of Time (even though they didn't make my list). And Beautiful Creatures was on my list...until I started to read it. I'm absolutely loving it so far! Jessica Darling is a must. I really should reread them. I also should give LOTR another shot. Read The Hobbit and Fellowship way back in high school but never got into it. I also have Beautiful Creatures on my list! I read the first book of the Matched series, I really enjoyed it! Haven't read any of the others! O so many good series on that list! You will enjoy them! happy reading! I love the Beautiful Creatures series! I really want to read Lord of the Rings & Game of Thrones too! I liked Matched myself but know a few people who were less than thrilled by it. I suppose it is preference :-) I have the Ender's Quintet on my list as well. Oh no, you hated the Hobbit? Well, Lord of the Rings is very different in style so you might prefer it, but personally I found Lord of the Rings a bit boring at points and overly wistful for a kind of ideal long lost England, or something. The elves annoyed me too. Hehe, I know I'm in the minority on that one. The films are fantastic though! :-) I forgot to put The Dark Tower series on my list, but it's one I really really keep meaning to start. Game of Thrones is... i have no words. Wheel of Time series starts out kind of slow. But once they leave their town, stuff starts happening and the book gets really good. I have the first book in the Beautiful Creatures series but I haven't read it yet. :( I'd also like to eventually start the Jessica Darling series. Great list. I forgot about Matched. So many great series that need to be started. Not enough time! This is my first time doing this! Thank you so much. I had a lot of fun and found it harder than I thought to come up with 10 series!!! Finally finally hopping on the Top Ten bandwagon! Thanks for putting together such a great series/meme! LotR and Wheel of Time made my list too. My very first meme, hope I'm doing it right :) What a topic to start with, my to-read shelf is straining under all the pressure! Technically I started Lord of the Rings a few times, but I've never ot past the forming of the Fellowship. I will try again, some day. A few of these were on my list too. But not the Hitchhiker's Guide... I detested those books! Congrats on the nomination too! Very exciting! Great book choices! Congrats on the nomination! I have two the same as you. Concerning Matched... loved the first book, the second was just OK, and the third one started out promising but ended up feeling a little lame by the end of it. It's not a terrible series, but it wasn't exactly what I hoped for. I'm glad I found the Meme and blog. It looks great. Congratulations for being nominated for Best Meme. 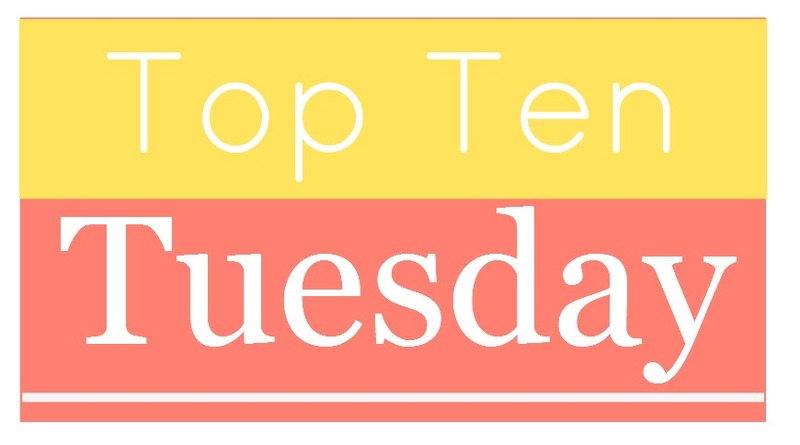 Wow that post took me a long time to make, but I'm finally joining top ten tuesday. You have some great series up there. This is my first Top Ten Tuesday, it's an amazing meme congrats on the nomination! You guys have a great list. I loved Game of Thrones and Beautiful Creatures! I feel the same way about Lord of the Rings.. need to read it and just haven't been able to get into it yet. I have to read Wheel of Time and Game of Thrones, too. I've already been waiting too long! Hopefully 2013 will be the year! I'm a new Top Ten Tuesday linker :) Great meme. I have lots of books I want to start reading but haven't yet. Happy reading to everyone!!! Many of those are on my favorites list, or on my TBR list! My husband and I really love the Ender's Saga, though I have not read all of the novels in the series. I also want to read The Dark Tower series. I have been reading Stephen King since I was young, and I can't believe I never read it! I might have to check out that Matched series you mentioned, too. Participated for the first time last week--- but just found Mister Linky today. :) Looking forward to more top tens!! Awesome list and quite a few of these are on my wishlist! I'm a bit of a Dark Tower and Game of Thrones fanatic, so glad to see those on the list! 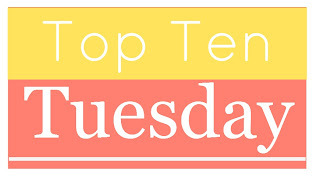 I tried to find where to link up, and couldn't find it, however I did my first post of TopTen,and I Loved it,thank you!! I am a newbie, just got my first book for review, which I am really excited about, and cant wait to keep joining meme's like this one.